I’ve never enjoyed baking. And really, I can live without most sweets. 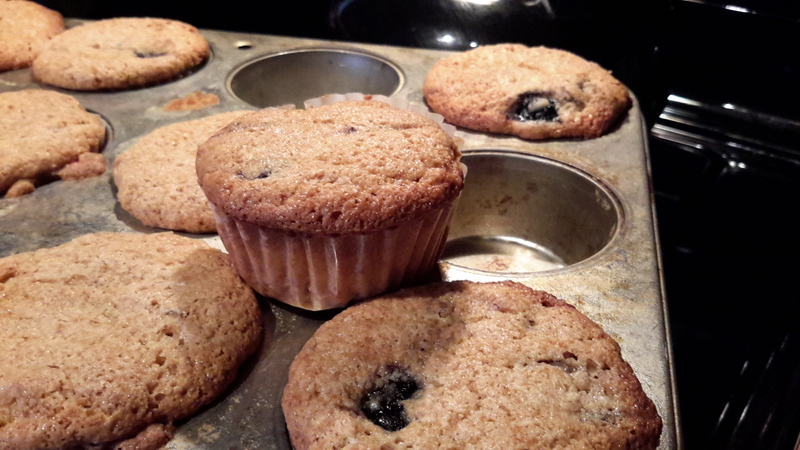 But on occasion it’s fun to make breakfast muffins. Since today is Christmas Eve, I’m going to count that as Christmas baking. 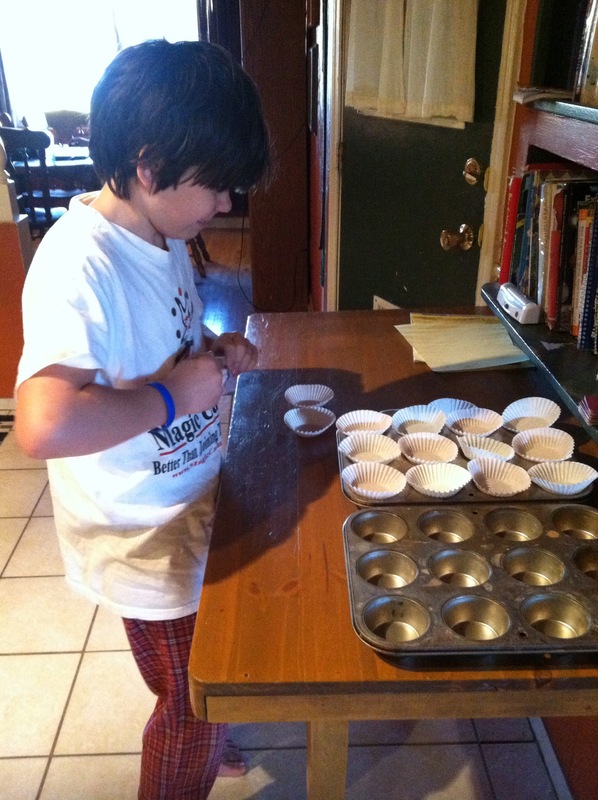 Now, my son loves to bake and he happened to wake up early enough this Christmas Eve day to get in on the breakfast muffins preparation. As you take a look at our supplies below, note that coffee in a narwhal mug gifted to me from a coworker is essential for proper muffin prep. 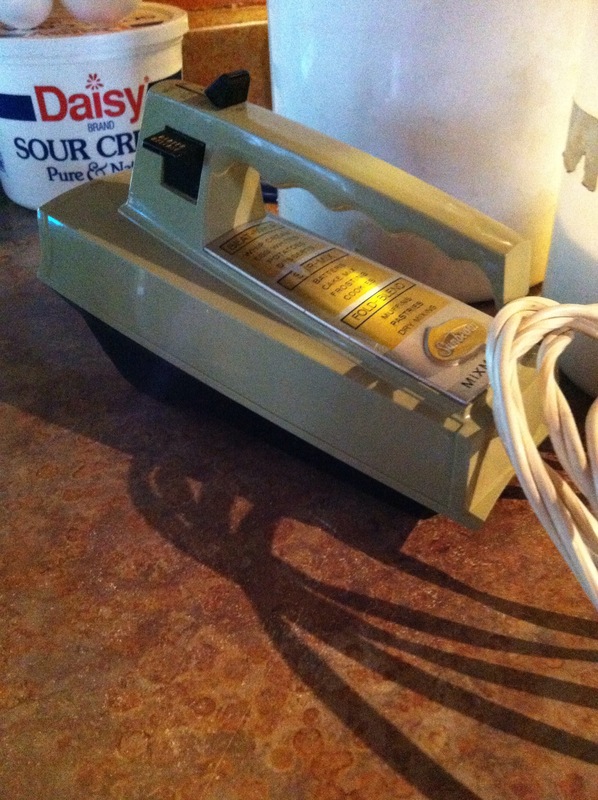 Yes, that is indeed a 1970’s style hand blender. Avocado green FTW. 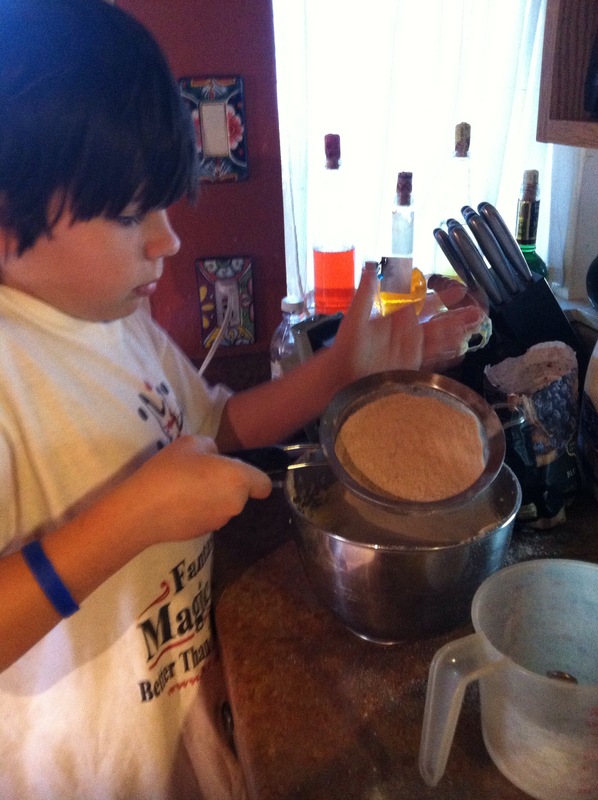 In a house with 4 kids and a mom who dislikes baking, when baking does happen, everyone wants in. So if all the kids are awake then there’s a chorus of “Can I help? Can I help?” Being such an excellent and in tune mother, I have them help and invariably chaos ensues and we all end up mad at each other. One needs only so many kitchen helpers. This morning, however, this guy was the only one up so we had a very rare opportunity to peacefully and calmly bake together. 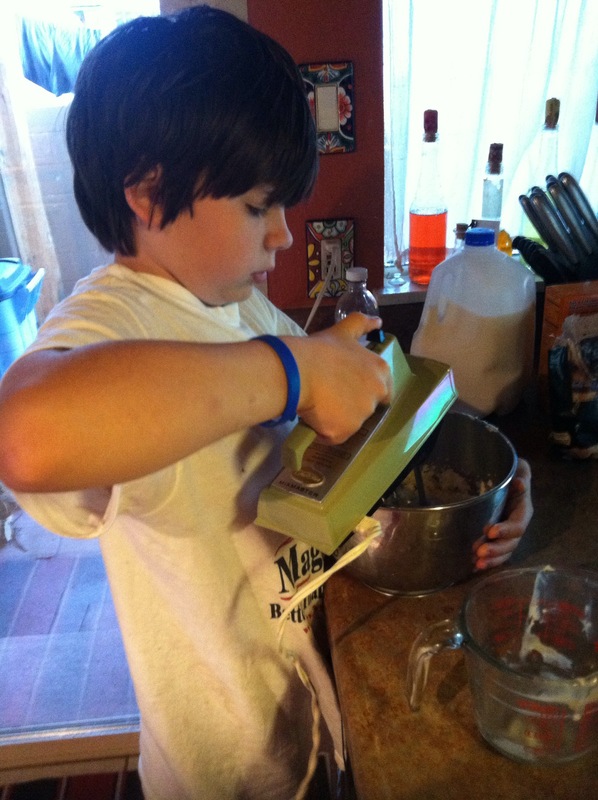 While I find the actual baking tedious, the chance to hang out with this guy and watch him bake is a real pleasure. And he is a really great baker, he’s got a knack. 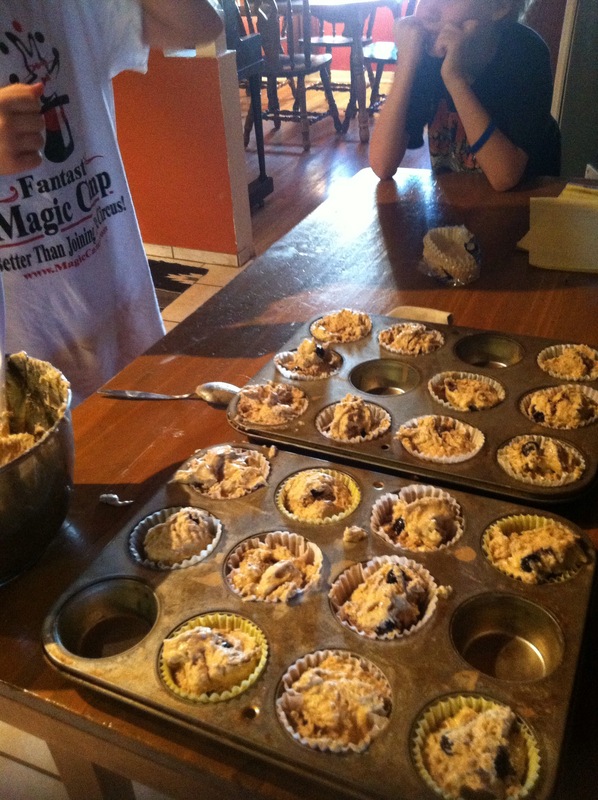 We made a bit of a mess with the bowl to muffin tin process, but oh well. 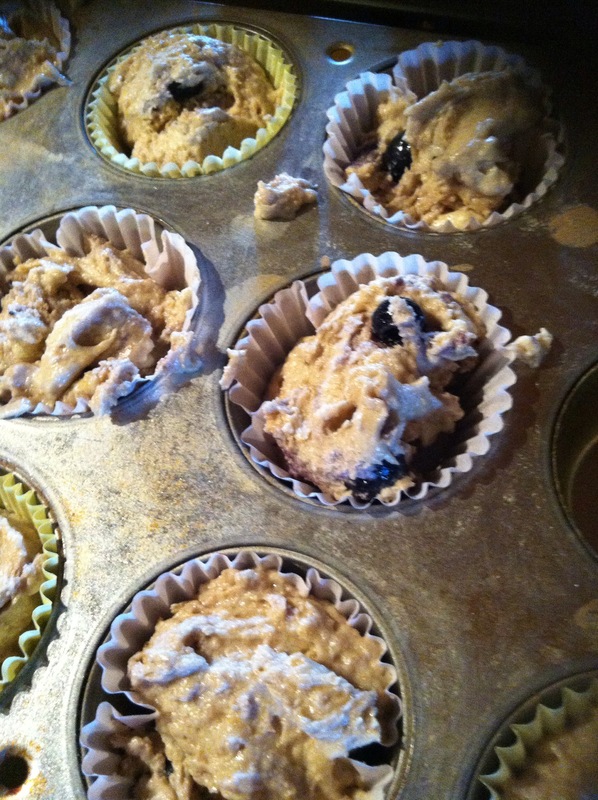 The result worked out pretty well I think, although as per usual, the batter flattened out. But you know, if it tastes good then it matters little what it looks like. invariably chaos ensues and we all end up mad at each other. Hee hee 🙂 Glad it’s not just us that this happens to.